Captiva Island Florida is one of the 10 Best Beaches in the World and besides being beautiful, warm and wonderful, the shelling is fantastic! The position of Captiva Island in the Gulf of Mexico makes it a perfect receiver for the tons of shells that are picked up by powerful waves on their journeys of thousands of miles. is a treasure island of rare shells for avid shell collectors. Serious shell collectors come here to search for those rare shells that have eluded them in the past. Some say if you come at different times of the year, you will find all the shells needed for an enviable collection. There is something calming and captivating about a less populated yet beautiful beach. You won't be the first to be captivated on Captiva! Enjoy a day of complete and total relaxation and leisure on this beautiful beach… or stay awhile if you become enamored with the serene beauty and tranquility of the island, as most visitors do. Jungle Drums presents some exquisite wildlife art and there are many other great boutiques and shops on the island. Spend a day browsing or perhaps find a new work of art for your living room to bring back a piece of this tropical paradise with you. Take a tour aboard Captiva Cruises where you can observe plenty of ocean wildlife and get an educational experience as well. The whole family will enjoy watching dolphins and other beautiful creatures of the sea. Enjoy a leisurely sailing ride with Moon Sailing a private and comfortable tour of the island and animal life. Kids of most ages: Captiva Kayak Company & Wildside Adventures is a fun way to spend an afternoon exploring for kids and adults alike. Eating: Old Captiva House at Tween Waters Inn offers sophisticated dining and delicious food. Or, relax and enjoy some delicious seafood at the Sunshine Seafood Café. Sleeping: View Motel is an inexpensive and comfortable home away from home with an easy ride to the beach. South Seas Island Resort is a little pricier, but is located right on the beach and is the epitome of luxury. 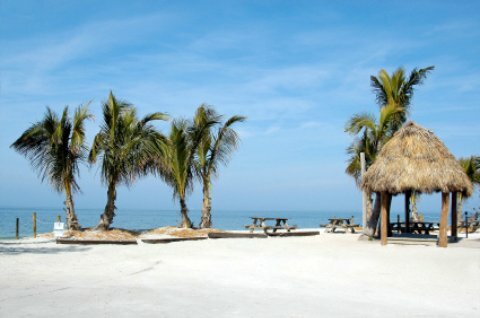 If you haven't visited Sanibel Island on this site, check it out!